Sports Design Products. I don’t think they could’ve thought of a more generic name for a card company. This company was around for a few years during the 80’s, and then fizzled out. In addition to some card sets, they also made supplies like penny sleeves and frames. 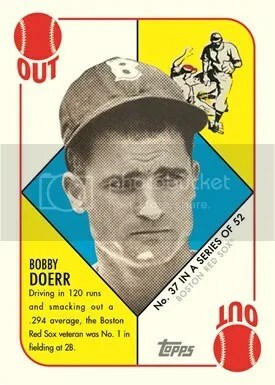 The work that sports artist Doug West did for Sports Design Products is probably the nicest stuff this company issued. The first Doug West set, Series 1, was released in 1984. 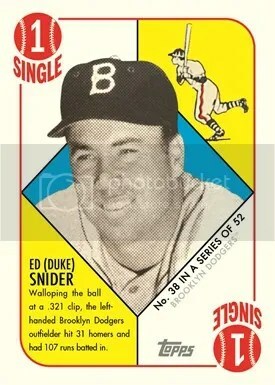 It consists of (24) cards of baseball greats such as Thurmon Munson, Mickey Mantle, Jackie Robinson, and Duke Snider. 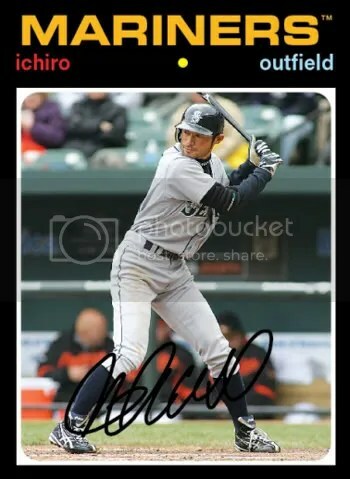 Each card features two images of the player. One image is a closeup portrait, while the other is an action shot. No packs and boxes here folks. These were distributed as sealed sets. Despite not being individually numbered, there are only suppose to be 5,000 of them. Sets were distributed in clear plastic containers with the Sports Design Products logo printed on the front. Sports Design Products also released around (250) uncut sheets. You can readily find these cards available. They’re dirt cheap. 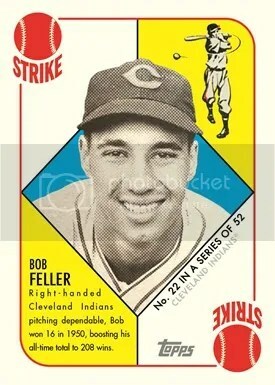 At the time these came out, they made great cards to get signed in person. However, most of the players on this checklist are now deceased. Some were even deceased when the set was originally made. Unless you’ve figured out a way to raise the dead, you’re not getting an autograph. Doug West was brought back in 1985 for Series 2. It was done similarly to Series 1, but with different players. In 1986, Sports Design Products didn’t go the artistic route. 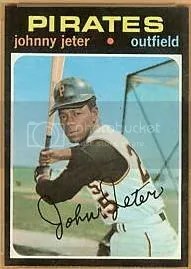 Instead they released a product that looks identical to 1969 Topps Baseball. Not much was heard from this company after 1986. 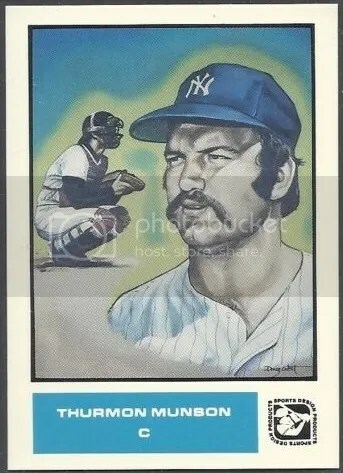 I think these cards would’ve looked better if they didn’t place a big white border around the painting. The picture should take up the entire card. 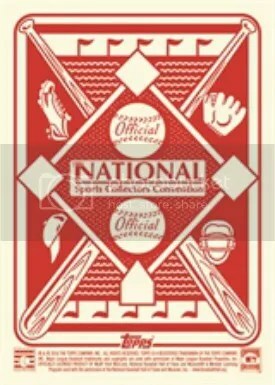 Topps has let the cat out of the bag and showed off what their 5-card VIP set will be for those collectors attending the 2016 National Sports Collectors Convention. 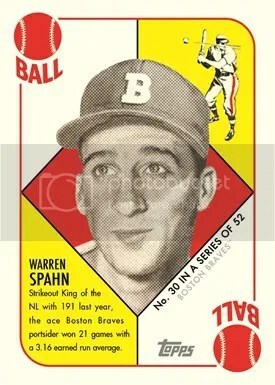 This year’s set focuses on the 1951 Topps Red and Blue Backs design. 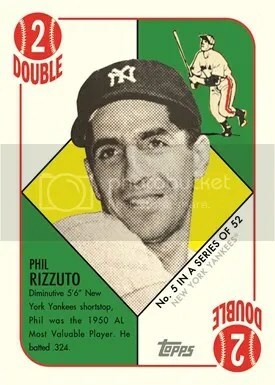 It has Phil Rizzuto, Bobby Doerr, Duke Snider, Bob Feller, and Warren Spahn. Every VIP package will contain a 4-card pack. If you want that fifth card, you’re going to have to trade for it. Topps will be hosting the VIP party that takes place before the show opens Aug. 3rd in Atlantic City, NJ. It all kicks off at 2:30 p.m. Topps plans to have giveaways and free autograph guests – Hockey Hall of Famer Eddie Giacomin, 1974 National League MVP Steve Garvey, and former Phillies closer “Wild Thing” Mitch Williams. Do These Cards Look Alike? Yesturday afternoon while attending a State College Spikes game, I stopped by the gift shop to pick up a 2009 Team Set and pin like I usually do each year. 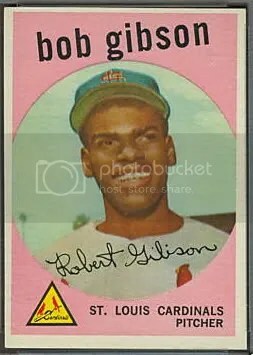 When I got home I started flipping through the Team Set and noticed that the design looks very much like the 1959 Topps baseball set. When comparing the cards side by side, you can clearly see the similarities. Am I the only person who thinks these cards look alike? I’m no expert on design, but this card doesn’t do anything for me even though it contains two authentic NFL logo patches. These can be found in boxes of 2004 Skybox LE. Is it just me or does the left side of this card scream for something to be there. At least put a team logo or some kind of design in that blank space. These would have looked better if they were autographed, but the blank space just makes it look so unfinished. You can barely read “Future Legends” because the font and background are almost the same shade of purple. I know there are a ton missing from that list, but then its just a few. 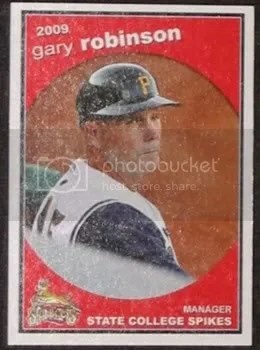 I particularly like it when manufacturers run out of names and start combining other refractors together, for example the Gold X-fractor. My question for you is this. If you could design a new type of refractor, what would it be called? 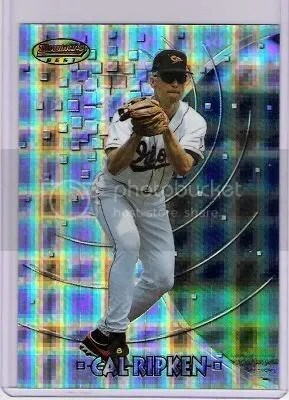 If I could design a new refractor, I’d probably stick with the color theme and go with a violet refractor numbered to #15.